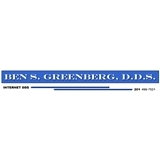 Ben S Greenberg DDS (Bogota) - Book Appointment Online! From cosmetic dentistry to full-mouth rehabilitation, our practice is equipped to handle all of your dental needs. Dr. Greenberg and his trusted staff pride themselves on being dedicated to their patients' needs. He and his skilled assistants are able to deal easily with the demands of a general practice as well as those of cosmetic dentistry that includes implants, bonding, laminates and other restorative procedures. I hate the dentist, and needless to say my time with Dr. Greenberg was AWESOME ! He explained everything that he was doing which put me at ease, and the best part was I felt NOTHING ! I would HIGHLY recommend Dr. Greenberg to ANYONE !